The International Olympic Committee formally invited Calgary Tuesday to bid for the 2026 Winter Olympics, but an IOC vice-president acknowledged the city’s pursuit of the Games hinges on a local plebiscite set for next month. IOC members unanimously voted to advance Calgary’s bid, along with competing proposals from Stockholm and a multicity Italian bid. Calgary’s bid committee says it will cost $5.23-billion to host the Winter Olympics, which the city also hosted in 1988. Before the vote in Buenos Aires, IOC vice-president Juan Antonio Samaranch Jr. spoke of Calgary’s strengths and its prominence in winter sports. He also pointed to the role the Nov. 13 plebiscite will play in determining whether the city forges ahead. International Olympic Committee vice-president Juan Antonio Samaranch Jr. gestures from the podium at the 133rd IOC sessions in Buenos Aires on Oct. 9, 2018. Calgary’s city council has not said what level of voter support it would require to continue the Olympic bid. Competing campaigns – YesCalgary and NoCalgaryOlympics – have emerged to shape the debate. The skyrocketing costs of recent Olympic Games have fuelled skepticism among potential host cites. The Vancouver Olympics cost $7-billion when projects such as the rapid-transit line to the airport were factored in. The 2014 Winter Games in Sochi, Russia, were the most expensive Olympics ever, estimated to have cost more than US$51-billion. The IOC released a report Tuesday that said Tokyo is expected to spend US$25-billion to prepare for the 2020 Olympics, nearly four times higher than originally estimated. For 2026, Ottawa has not said how much it would be willing to allocate and the province of Alberta has yet to commit any funding. The city of Calgary has said it is waiting for commitments from the federal and provincial governments before deciding on its contribution. Erin Waite, a spokesperson for NoCalgaryOlympics, noted the IOC approve all three remaining bids, which she said is a sign that cities – and their residents – are becoming less willing to host the Olympics. “I think what we’ve seen so far is as citizens understand more about the bids and the costs and risks, they tend to pressure their cities to drop the bid,” Waite said. She argued the city and its bid committee are not releasing enough information about the true costs or risks of the Games and that it’s still not clear how much higher levels of government are willing to contribute. Mary Moran, the CEO of the Calgary 2026, rejected the argument that the bid corporation has not been transparent. She said it has released more information than “any other bid,” including a detailed hosting plan that is typically considered an internal document. She said the bid corporation’s primary task in the lead-up to the referendum is to educate the public about the benefits of the bid, as well as the potential risks, though she said the risks are minimal. Alberta Premier Rachel Notley said the province is still considering how much it would be prepared to spend on the Olympics and noted the federal government has yet to release its own plan. On the referendum issue, she said the province will abide by the results, and she brushed aside concerns that voter turnout could be low. 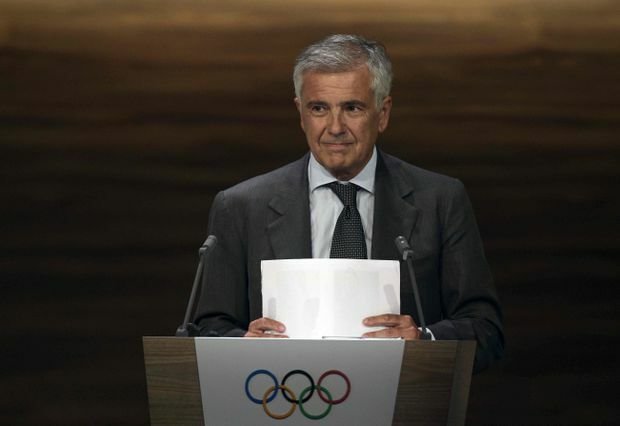 The plebiscite aside, Samaranch praised Calgary’s readiness, saying it had readily accepted the IOC’s Agenda 2020, a seismic shift in how the IOC wants to do business by assisting host cities to ensure the Games don’t do to them what the 2004 Summer Olympics did in helping bankrupt Greece. With a city-centre housing plan, and a number of existing sports venues, Calgary was lauded for becoming a regular host of winter sporting events, from alpine and cross-country skiing to bobsleigh, luge, skeleton and long-track speed skating. Calgary, Stockholm and Cortina-Milan must present their bid book in January of next year, with the IOC choosing the 2026 host city in June.